> Discover all of our products here. 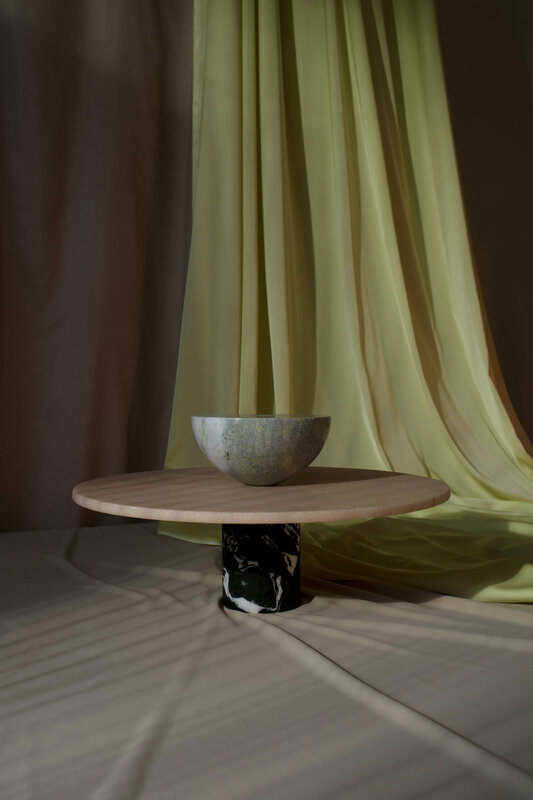 The collection includes a chair, a coffee table and two side tables in a stripped down minimal style.The collection for Bloc studios is inspired by the coloured marble inlay floors popularized by the Romans in the ‘opus sectile’ style and later reintroduced during the Italian Renaissance in the form of ‘pietra dura’ work. The “Avalon” series consists of 3 sculptural vases, made of White Arabescato Marble or mixed colored marble. A series of stackable, vertically interchangeable marble elements that creates different variations for acenterpiece tray element, a sculptural totem. 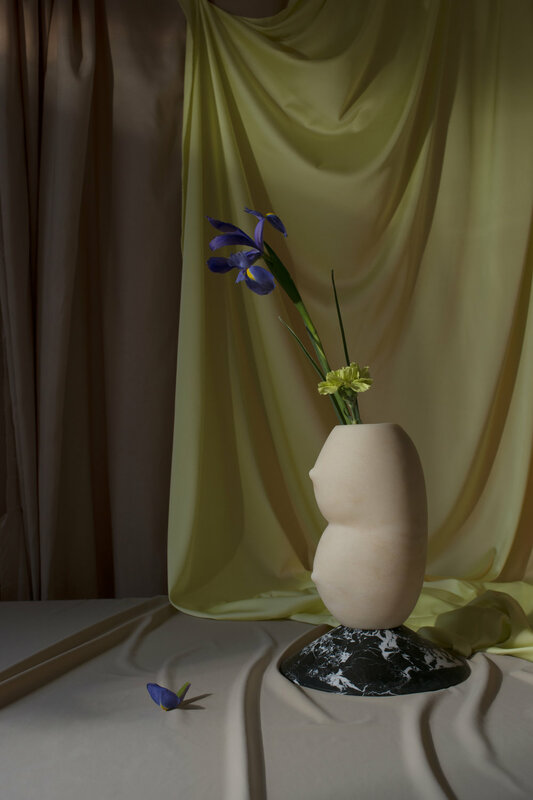 Taking inspiration from photographer Carl Kleiner's 2014 series "postures", Kleiner and Bloc studios have collaborated to create "Posture vases". > Voie Lights — The stone edition. The voie light series is the result of an investigation into the manipulation of light-paths. Having chosen neon as the primary light source, the designed objects create an interception on the path the light follows through the addition of a singular extra material. 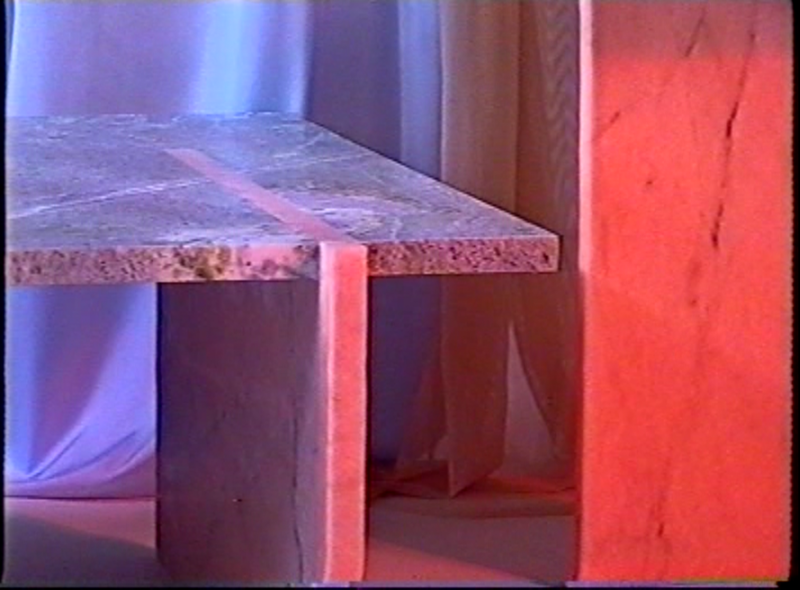 Bloc studios and Apartamento magazine have joined forces to create a special collaboration in marble. Inspired by the architectural nature of the timeless children’s game, Blocks is the new and modern version of the classic wooden building blocks. "Marmo Domestico"— collection n°1 presents a range of domestic objects designed by THEVOZ — CHOQUET. This collection aims to re(use) excess parts of industrially salvaged marble blocks in the quarries of Carrara. The Foundations series for Bloc Studios was designed by Joseph Magliaro of Table of Contents between 2014-2016. Each piece is structured around the pairing of a stone base with a metal supplement/platform. Bloc studios — BLC Carrara srl has the property rights to manufacture and sell these products and holds the exclusive manufacturing and distribution rights worldwide. Copying will be prosecuted. © 2018, Bloc studios — BLC Carrara srl, All rights reserved.